This article was written by University of Nevada assistant men's basketball coach Jay Morris. Coach Morris has been a part of the Matadors coaching staff since 2015. 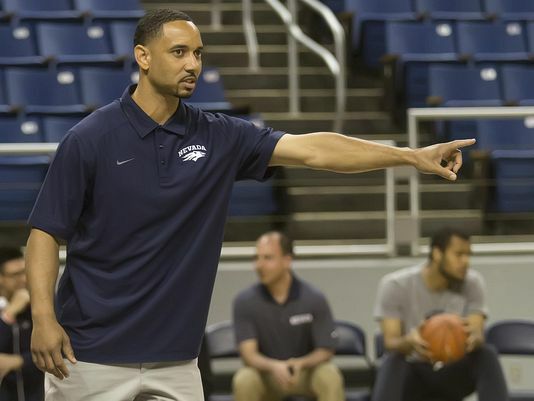 Before joining the Wolf Pack, Jay was an assistant coach at Cal State Northridge, Director of Basketball Operations at Long Beach State, and an assistant coach for Westchester High School. The allure of the flashy suits, high salaries and camera time come long after the start of most coaching careers. In the past ten years, enormous salaries have been given to head coaches and high profile assistants. These salaries have drawn a lot of people to this line of work. Getting your foot in the door to a lucrative coaching position can be very difficult and a job in itself. For one, obtaining a coaching position in college basketball can take years of work, research, patience and persistence. Just as in any line of work or career field, getting your foot in the door is not all about what you know but who you know. In most instances in college basketball, once you get your foot in the door, it will still take time to work your way to the top (and unfortunately, the modern generation is all about instant success and gratification). There is no standard method or way to get your foot in the door. The most common step taken by a majority of college coaches has been to coach high school, junior college, or AAU basketball. The salary will probably not be what you want it to be, but remember, when considering being a college basketball coach, you should have the mindset of doing it for the love of the game, not the money - that is one key to longevity and success in coaching at a competitive level. When you see a coach gracing the sidelines, the last thing that probably comes to mind is that the coach used to work for free. Trust me, as I did, a lot of coaches started out volunteering. I volunteered for years before I had a chance to get a Division I college basketball job. If you choose to go the route that most coaches do, you have to put everything you have into it. Your passion and enthusiasm as an entry level coach needs to be the same as a coach making a million dollars. As mentioned, most college coaches get into the business on the ground floor. The number of entry level positions at each school differs and depends on the size of the school’s budget and/or what the head coach wants. Some of the popular titles given to these positions are Director of Basketball Operations (DOBO), Film Coordinator, and Director of Player Development. My first job in college basketball was as a DOBO. For me, this job was not about the money; it was more so about the opportunity, experience and the love of the sport. This job paid $1,000 per month, before taxes. In this position, I was able to see and learn all aspects involved in running a Division I basketball program. Being a high school, junior college or AAU coach, is another good way to get in to college coaching. If you coach at one of these levels and put together a successful program, this can help you when trying to get into the college coaching world. The way it usually works is, if you have good players and develop good players to become better players, you will be successful. When you produce good players, college coaches will have to call you to inquire about these players during the recruiting process. This is how you begin building your resume and necessary relationships. A college coach’s job partially relies on your evaluation and recommendations. You need to be honest with college coaches. In building relationships with these coaches, they need to be able to trust you. If you make your players seem better than they are just to get them placed, a college coach will find out very quickly that the player is not as good as you led on. A good, trustworthy relationship can go a long way and help you to land a college job in the future. Working basketball camps is another way to gain some key relationships. With AAU basketball and private entities taking up so much of summer basketball, college basketball camps are becoming fewer. There are still a number of college basketball camps, and if you can work one of these camps, that is another way to get in the college basketball circle. These camps can be key in building a relationship with a coach or coaching staff. The Internet is a good source of information. There are many websites that post college coaching information and job vacancies. If you type “college basketball jobs” into a search engine, you should be able to find a number of opportunities. Just keep in mind that the vacancy might have existed for a while and the search could have already taken place. As soon as you hear of a possible opening, you need to work every angle you can to try to get your foot in the door. Unlike some jobs, simply sending a resume and application hardly ever work. On April 28, 2005, the NCAA adopted the rule which went into effect on August 1, 2005 that a Division I men’s basketball team would be allowed only four coaches on each staff. Currently, there are approximately 1,400 coaching jobs. This may appear to be a big number at first glance but in actuality, it is very difficult to get one of these jobs. If you have no prior coaching experience, it makes it that much more difficult to get one of these jobs. Sometimes your duties and the things you have to do in such position are not attractive but once you have done them and look back, you will be thankful that you were in a position to learn so much of the behind-the-scenes of a college basketball program. All entry level positions are administrative in some capacity because NCAA rules do not permit these positions to do any on-the-floor coaching or any recruiting. If you have a love and passion for the game of basketball and want to teach it at the college level, hopefully this can act as somewhat of a blueprint to assist you in navigating through and getting your foot in the door. If you are lucky enough to get one of these jobs, be ready to go. When the door cracks open, I can guarantee there will be no time to look back. Thanks for the insights. I will be sure to share this with a few of my channels. Absolutely; If don’t have the passion and love for the player’s growth in life as well as in the game. Then don’t waste there time or yours. Good article hard work an dedication. Hopefully I can latch on whenever I decide to come back across from overseas after playing professionally for almost 20yrs. There is alot of truth in this article, however I would still say its about 40% what you know and 60% who you know. At every level I have observed this in action. In basketball its politics over all! I am a junior COLLEGE coach. I consider myslef a COLLEGE basketball coach. I love this level of COLLEGE coaching/basketball. Please, consider that not all coaches want to coach at the D I level. And we are COLLEGE coaches. And some of us are really good at it. I do agree that coaching is all about paying your dues and having a solid network. I coach because I have a passion for the game.